Take a look in your jewelry box, and you’re almost guaranteed to see items bearing the .925 silver mark. What does this little number mean? 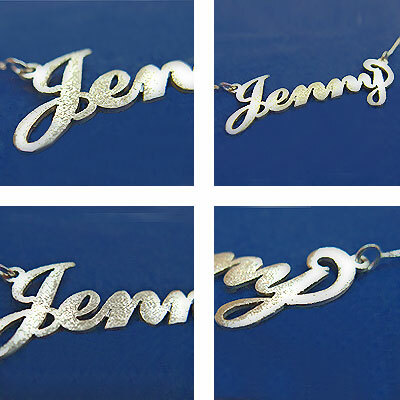 In essence, it’s a stamp of quality, typically found at the back or bottom of each item, and it testifies that the earrings, necklace, ring, or bracelet that you’re holding is made to the highest standard of quality for sterling silver. So, what’s the big difference between these two very similar-looking metals? The answer can be found in the chemistry of .925 silver, which is a blend made with 92.5% pure silver and 7.5% copper, nickel, or zinc. Why not leave the pure silver alone, and make jewelry from it? Like pure gold, fine silver (also known as pure silver) is just too soft for making jewelry that stands up to the test of everyday wear. The quality of sterling is ultra-high. This beautiful metal is ideal for jewelry since it is far more durable and much harder than fine silver. As an added incentive, .925 silver is a very affordable option for jewelry of all kinds. If you’ve ever had the pleasure of owning jewelry made with .925 silver, then you know that the metal is prone to tarnishing. Tarnish isn’t permanent; in fact, if you wear your favorite items frequently, you may never notice any signs that they are becoming tarnished. Let’s take a bit of the mystery out of the equation for you: tarnishing is a very simple chemical process that happens when the metals used to harden the sterling silver react with oxygen and other natural elements found in the air. Luckily, tarnish is very easy to remove. For an in-depth look at this and other issues plus quick tricks for keeping your favorite pieces looking their very best, take a quick peek at our jewelry care article. Now that you know more about sterling silver, you can see some examples by looking at what we offer in our silver jewelry collection. From classic sterling silver monograms to trendy silver bar necklaces, our beautiful jewelry makes a wonderful addition to your own wardrobe or a very meaningful Christmas personalized jewelry gift for that special someone. Whether their style tends toward ever-popular initial necklaces or the latest silver infinity jewelry, you’ll find just the right gift here. And thanks to your newfound knowledge of the quality and value of .925 silver, you can be confident that items you choose will look amazing for years to come.